This solution is ideal for the latest-generation portable medical and wearable devices and other Internet of Things (IoT) applications that demand nonvolatile memories to continuously log an increasing amount of user and sensor data while using as little power as possible. Cypress’ new Excelon™ LP Ferroelectric Random Access Memory (F-RAM™) is the industry’s most energy-efficient nonvolatile RAM and delivers instant-write capabilities with virtually unlimited endurance, enabling these applications to perform mission-critical data logging requirements while maximizing battery life. The Excelon LP series is available in a low-pin-count, small-footprint package that is perfectly suited for space-constrained, portable applications. 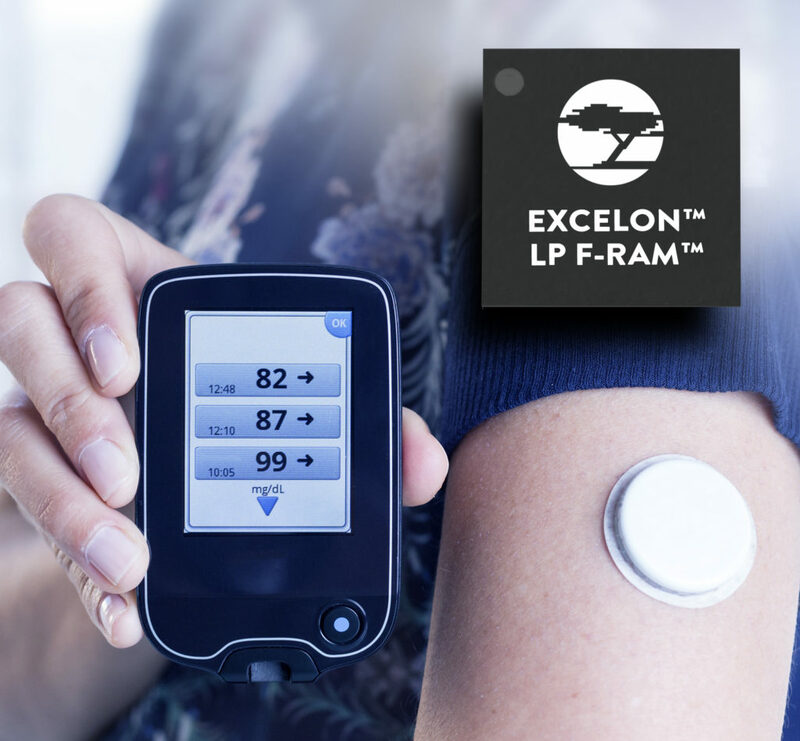 The Excelon LP series offers 4-Mb and 8-Mb industrial and commercial-grade densities with 50 MHz and 20 MHz Serial Peripheral Interface (SPI) performance. The series reduces power consumption with 100nA hibernate and 1uA standby modes that greatly improve a battery-powered product’s user experience by extending system operating time. The Excelon family’s inherent instant writes also eliminate power failure “data-at-risk” due to volatile data buffers in legacy memories. The family features wide voltage operation from 1.71V to 3.6V and is available in RoHS-compliant industry-standard packages that are pin compatible with EEPROMs and other nonvolatile memories. Excelon LP F-RAMs provide 1000-trillion (1015) read/write cycle endurance with 10 years of data retention at 85° C or 151 years at 65° C.